nt string fiber that comes out of the head doing the work to cut off weeds and unwanted small plant material. They give your yard a manicured look after a smooth short mowing job. They can edge around sidewalks and they use no blades. The string will remind you of a heavy fishing line. 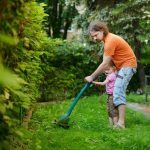 Finally, a small piece of equipment to do almost everything—trim around tree trunks, flower beds, vegetable gardens, on the slopes of hills or banks too unsafe for a lawnmower to handle. 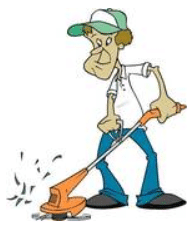 You will no longer have a sore back as you do with hand weeding or digging with a shovel. 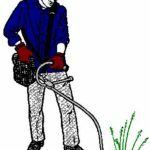 The ‘string’ is measured by diameter and each brand of weed eater uses its own size. When you visit this site here you will see the specifications. The weed eater has a long shaft with cutting head. The filament leaves the head and you push it to the ground to have more come out. There are three types of weed eaters: with cords, without cords, and gasoline driven weed eaters. There are those with two filaments coming out of the head and those with only one. Decide if you want to go with gas, electric, or a battery operated weed trimmer, which is cordless. Power Type—the most powerful weed eaters are gasoline driven. 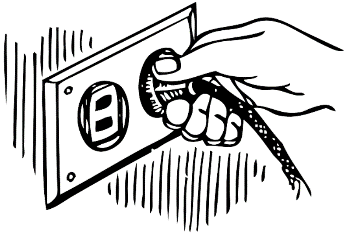 Electric are less powerful plus you must drag the cord around, a safety hazard. A larger area to chop weeds would be better tackled with a gasoline unit. For small areas with a few grassy areas, electric will work fine. I use an electric unit for my small yard and have no problem using a 150-foot extension cord matched AWG. I like that an electric is more lightweight with less noise. Batteries and Cords—are a consideration. You will have more power with gasoline units; cords can be a hassle, and the battery operated units must be charged after several hours used. Be sure to check how long a battery charge will last for the specific weed eater you have your eyes on. Sometimes people buy an extra battery, so they can get their trimming job done at one time. Read more about gas weed eaters here. If you want a cordless unit, read more about them here. 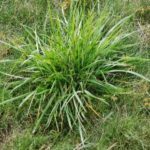 Upkeep—the maintenance for electric weed wackers is much easier than gas ones. Battery operated trimmers are easy to care for too. Engine Cycles—you will need to decide the tradeoffs for 2- or 4-cycle gasoline engines. You will mix the gas and oil together with a 2-cycle engine. With the 4-cycle engine, you will not do any mixing. 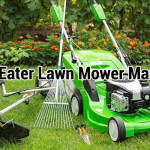 an electric weed trimmer is easy to use. Remember, you will need an outlet to plug the extension cord into and it must be able to travel the distance unless you have multiple outlets. Battery operated units will do this job too. o keep rocks and debris from cutting you up. 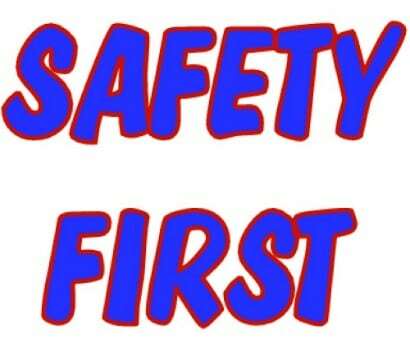 At all times wear safety glasses. Wear them over your regular glasses as well to protect your eyes and glasses. The ones with the side shields are best. Never go barefoot and never wear shorts. Keep your cell phone in your pocket in case of an emergency and wear a sweatband if perspiration drips from your hair and face. Pull long hair back. A hat can create heat while being a safety element. Earplugs will reduce the chances of long-term hearing loss. Leather gloves will prevent your hands from getting blisters. These tips are for women as well as men. These units are not toys; keep away from pets and youngsters. 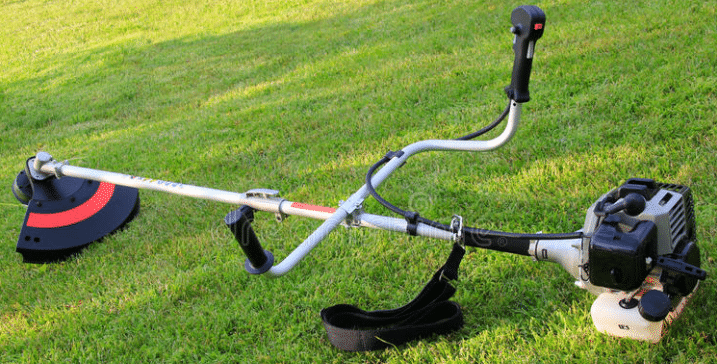 Whatever you call it, the best weed eaters, string trimmers, weed wackers for a gorgeous manicured lawn are available at Amazon.com® at affordable prices to get your lawn looking like a picture in a house beautiful ad. 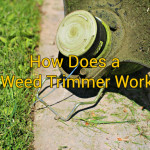 How Does a Weed Trimmer Work?